Before and After Reveal: Why we LOVE it! We are the “reveal” nation of instant gratificationers (not a word, I know). As stagers, we consider our selves to be big fans of the instant gratification phenomenon. 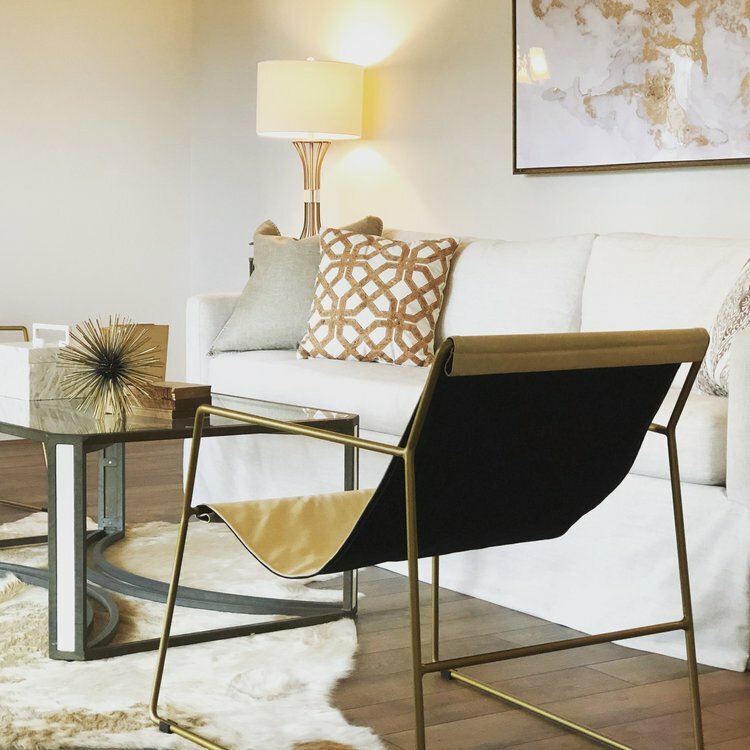 The big reveal from a “Before and After” staging really gets our blood pumping. 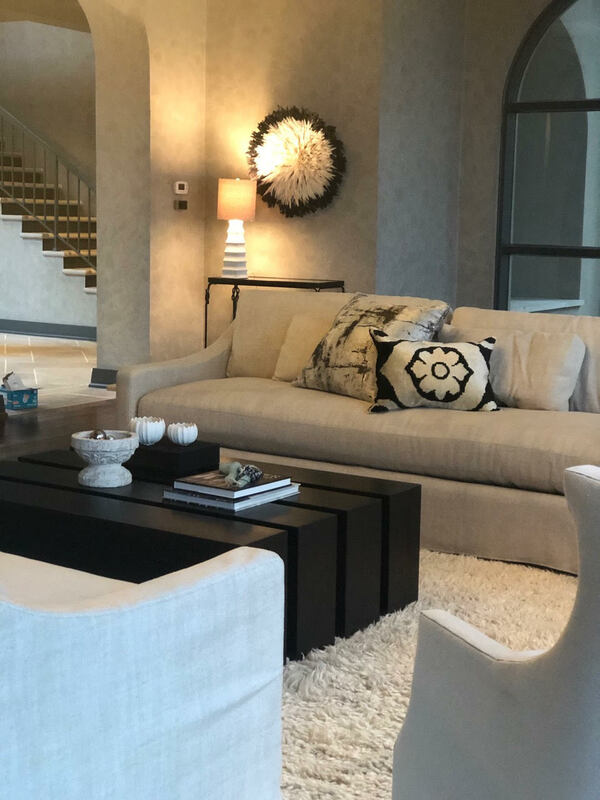 We LOVE the paramount moment when a client first lays eyes on their newly staged home. It really brings us (and the client) a rush of instant gratification. We get a lot of ‘likes’ on our Instagram with a “Before and After” reveal. I think partially because we all love instant gratification. There is a small sense of accomplishment if you can click and BAM, the room is picture perfect and you didn’t lift a finger, except to swipe right. When Spiffy takes a mess to a masterpiece, I like to call it the “blow and show”. We blow through a room that looks like Methuselah lived there and an hour later, you are ready to show it with a completely new look! I mean, it is move in ready after the Spiffy furniture fairies have sprinkled their magic touch. Staging gives buyers the reveal they crave and need. Don’t leave them hanging if you are selling your home. Give them the wow factor they need to BUY! Give them the Spiffy touch! You can spot them a mile away. They are the skinny legged jean wearing, pocket watch carrying, artsy-looking California movie makers. And they’re here in Birmingham as we speak (or as you read, rather). 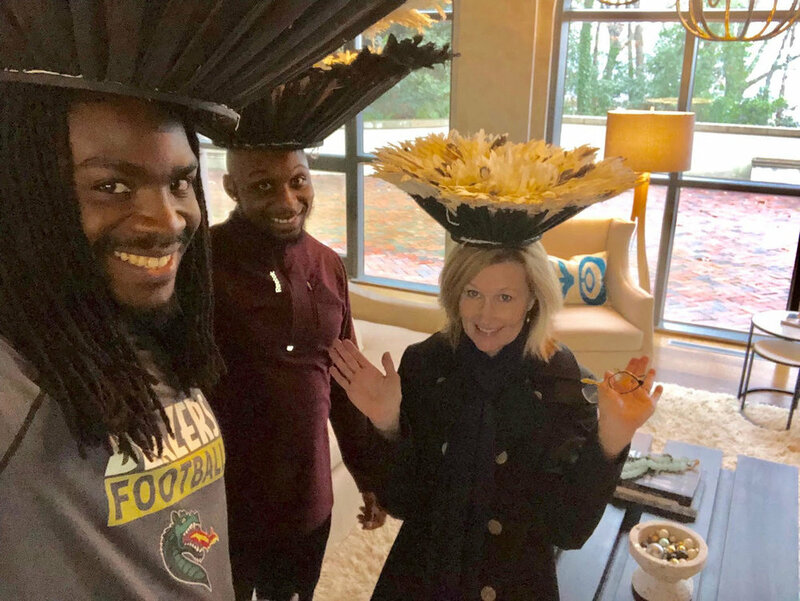 Not meaning to comment on their eccentric style as a bad thing (it’s actually quite trendy to be honest), but they just don’t have that southern vibe. In other words, you can totally tell they are from out of town. But boy are we glad they’re here! If you didn’t know, there are multiple movies filming in and around Birmingham at the moment. It’s exciting to have our majestic city as the backdrop for so many productions. Even better? Spiffy is getting her 15 minutes of fame in several of these productions. 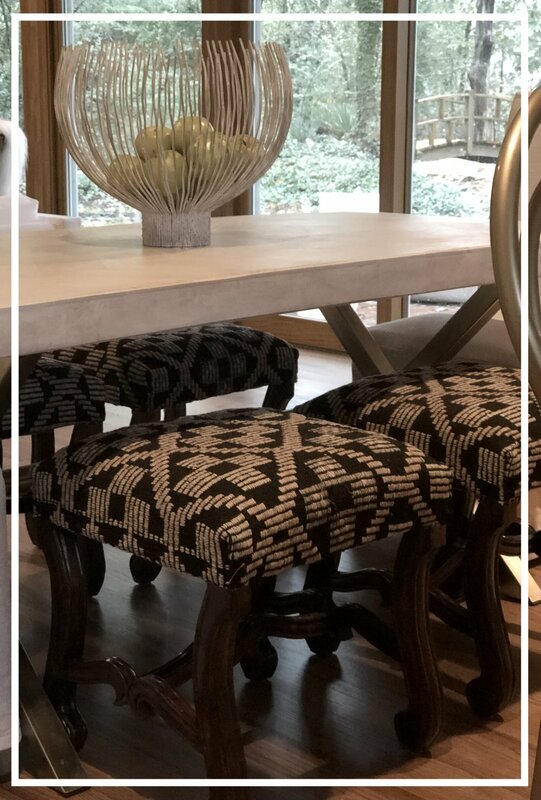 A handful of the production companies have taken advantage of Spiffy’s furniture rental service, using our pieces as furnishings for make believe spaces. 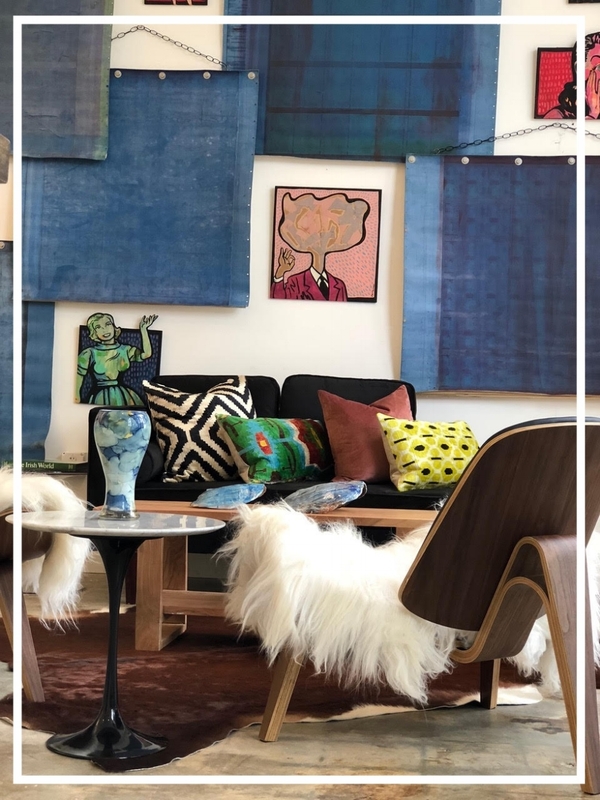 Spiffy furniture is being used to create everything from upscale New York brownstone lofts, to bohemian apartment accommodations for a slightly neurotic character…so we are told. As our furniture rentals fly out the door, we love to unravel how the pieces are going to be incorporated in to make believe worlds. Spiffy furniture began its role as a home-staging device, but it now is playing so many more characters! Furniture rentals for the movie business are something we never expected, but we are grateful for this new opportunity. Our favorite part of the movies will be watching the credits roll and seeing our name on the big screen. Learn more about the upcoming movie, “Inheritance”, here! Well of course you need to hire Spiffy! We show you the tips and tricks to make the best impression on the buyer. Spiffy's goal is your goal- to sell your home for top dollar. Spiffy stagers go through your home, room by room, to give you the blueprint you need to get your home market ready. De-cluttering is the first phase of your move. You are moving anyway, so why not go ahead and get er'done! Sort items into three piles: Keep, Donate, and Good Riddance! Box excess items and rent a short term storage unit. Don't move all your clutter boxes to an attic or garage. You are selling those spaces with the house too. Painting is your best friend to give your home a fresh look. We know it's a hassle, but consider painting a neutral color that wins over the masses. Re-caulk and re-seal bathroom and kitchen tile. Consider a deep clean and a coat of wax to give your floors a refurbished look. Cut the grass, trim the hedges, and plant the seasonal flowers that compliment the style of the home. No empty pots! 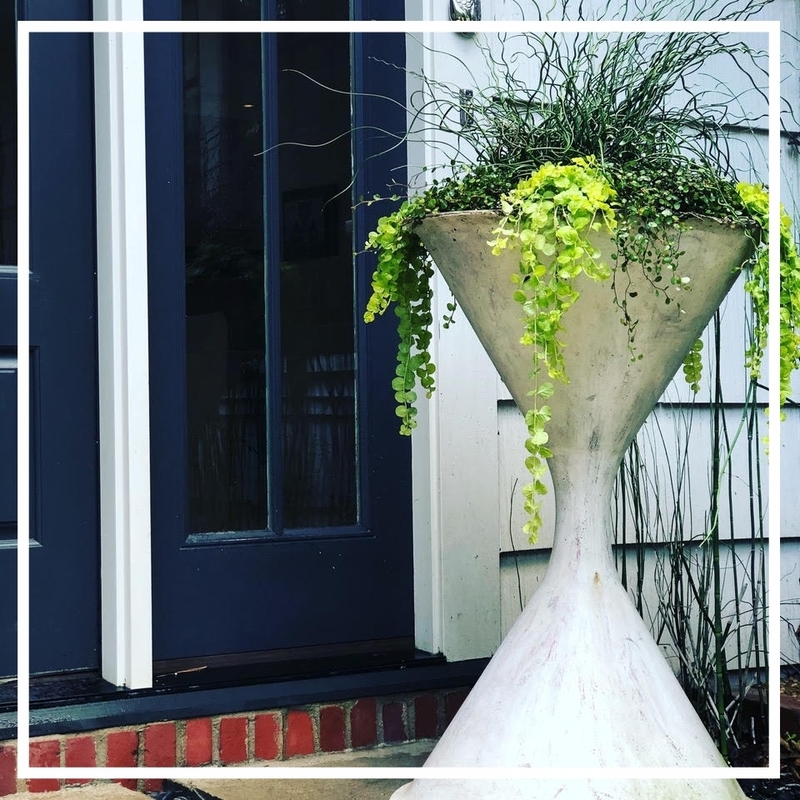 A few simple, larger planters are better than multiple small pots. Dash up the front door with a fresh coat of paint or wood stain. If you have outdoor furniture, update pillows and upholstery. A deep clean is a must. This is a DEEP clean, not just a thorough vacuum and dusting. This is the "white glove" test cleaning. If you don't have the time, consider hiring a cleaning crew. Pressure wash at LEAST the front walkway, porches, or patio. The word “moving” and ”stress” seem to go hand-in-hand. We’ll be honest with you— moving is stressful! However, if you take your moving process step by step you may find that it can be relatively simple. Follow these five nifty tips to take some of the stress out of your move. It is always tempting to bypass paying a realtor commission fee and simply put a “For Sale” sign in the yard yourself, but asking for assistance is often worth it! Hiring the right realtor to guide you through the process could end up saving you hundreds or thousands of dollars. A realtor understands the market, appropriate timing, and competitive pricing. They also are experts at finding leads and securing the sale. For a fast and profitable experience, hire a relator to guide you through the selling process. 2. Hire a Spiffy stager. Spiffy gives you the good, the bad, and the ugly news about the positives and negatives of your home. We get real with you so that you can make a serious sale! Our consultations give you the tools you need to get your home market ready. Homeowners are putting their best foot forward when listing homes these days. Working with Spiffy gives you the competitive edge to get your home on the market and off in minimum time for a maximum price. Check out our before and after gallery for some examples of our top-notch work. 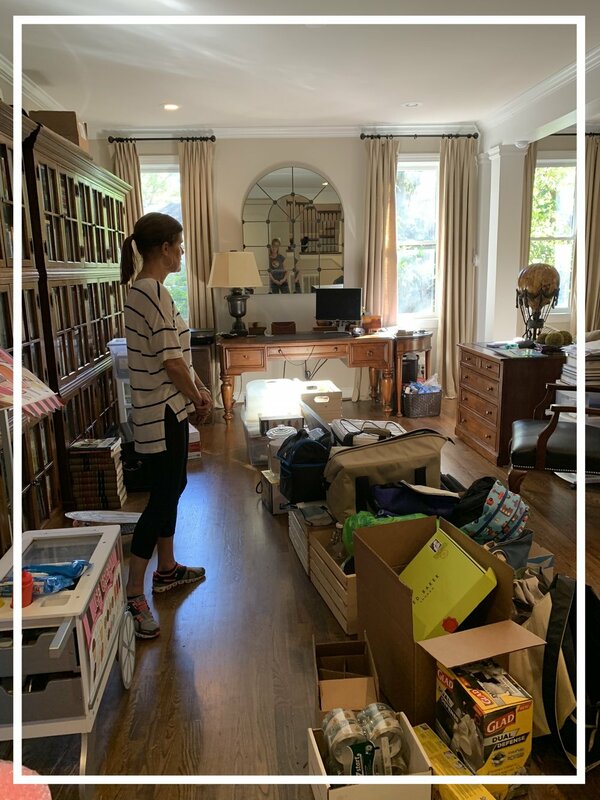 When you look around your home and see the heaps of belongings you need to haul over to your new place, it can feel overwhelming. Spiffy recommends de-cluttering and downsizing your space early on in the moving process. Not only will you feel more mentally organized, but the newly freed space will give you some room to breathe! As a part of our full-service staging process, Spiffy offers organizational services. Check it out here! 4. Know what your home is worth. If you are paying the realtor to list your home, listen to the reasoning behind the pricing. Compare your home to others like it in the neighborhood for an accurate assessment. Also, look around to see if there are any minor “fixer-uppers” that can be done. A small coat of paint can go a long way when it comes to curb appeal! 5. DON’T list your property empty. Spiffy has the high end furnishings that give your home a luxury vibe. 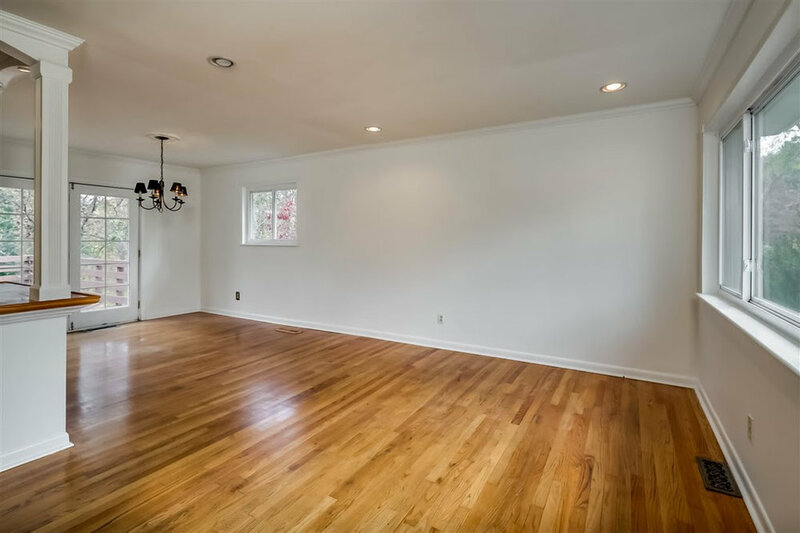 Empty rooms pictured on listing websites have a tendency to look like roller rinks. In reality, it’s a beautiful great room just waiting to be lived in! Show your potential buyers how the home may look if they were to reside there. 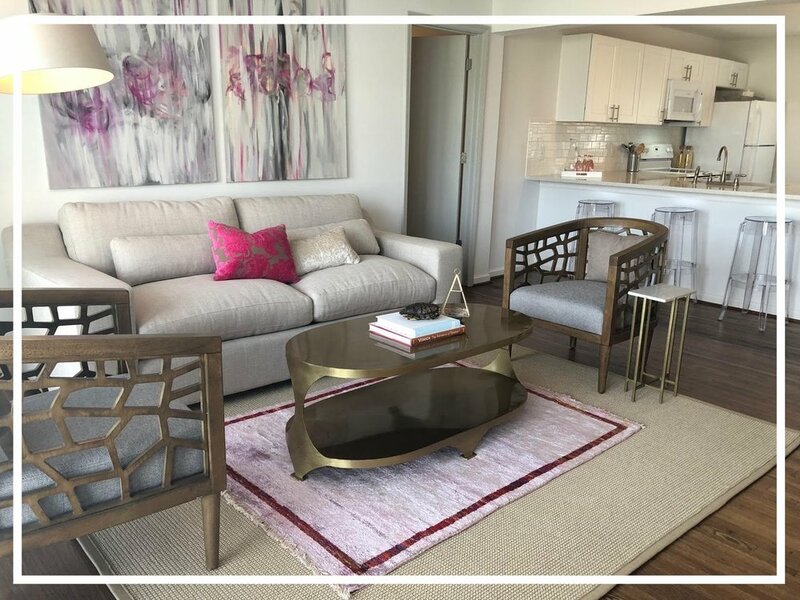 Staging a space plays with the psychology of the buyer and allows them to mentally “move in”. 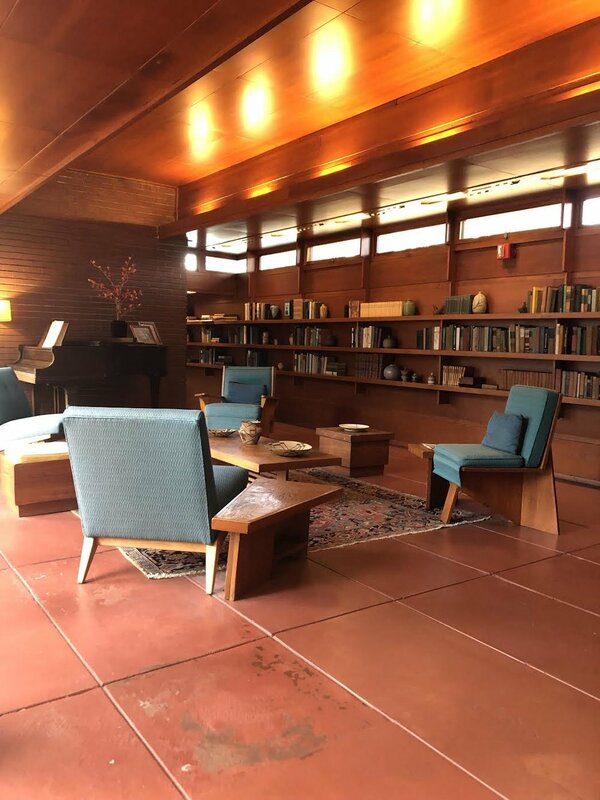 I was lucky enough to visit the Frank Lloyd Wright Rosenbaum house in Florence, Alabama recently. Always intrigued and enamored by Wright, the home did not disappoint. The Rosenbaum house has been called one of the purest examples of Usonian homes in America. Usonian refers to a group of about 60 family homes designed by Wright to improve the lifestyle of middle America in the 1950’s. Taking a tour of the Rosenbaum house, you can easily see the lasting impact of his architecture on our modern-day home designs. The open floor concept, the indoor-outdoor living space, the natural lighting and solar heating…all of his innovative ideas have become staples in the American home. Throughout the tour, his apparent OCD attention to precise measurement and detail in his architecture was impressive to witness. At one point, the tour guide picked up a small end table in the den and placed it against the wall where it fit seamlessly into a 13’’ high groove. The end table would then function as another piece of furniture. It was like a Lego piece that fit perfectly. Even more impressive, it still falls in to place perfectly 81 years later. So, what’s old is new again and again. We like to think the open-floor concept home is the “new” American lifestyle, but it truly had its roots in historic design. Wrights creative expressions and innovative thinking were the foundation for our modern day architecture. I love staging small spaces. 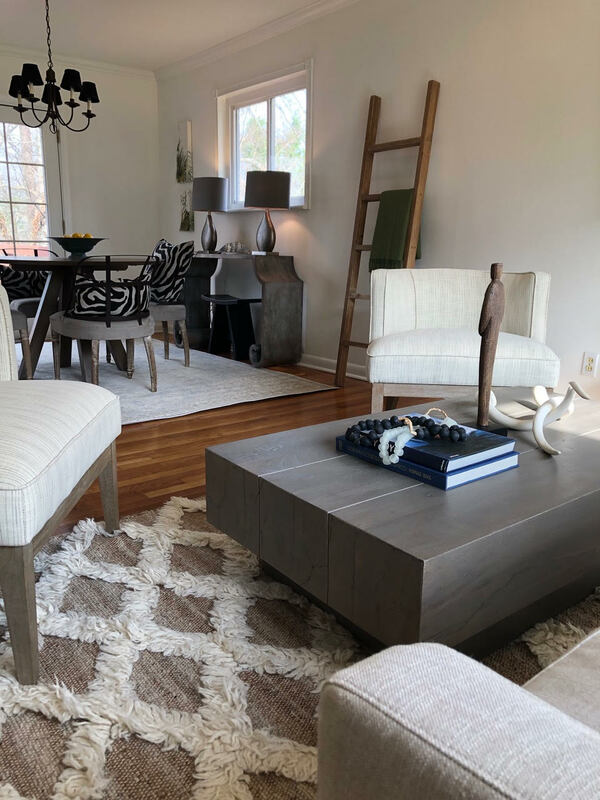 Their simplicity brings about instant gratification when I complete the job and I often find myself saying “I could totally live in a quaint space”. However, I had a litter of children to raise, so a 1,000 square foot tiny house was never an option for me. Small spaces can be inviting and cozy if they are done right. Furnished wrong, they will resemble Barbie’s Dream Home. The essence of creating a tantalizing tiny space is in the details—small spaces simply don’t look livable without furnishings. This is where staging is key. Small spaces appear even smaller when they are empty. The addition of furniture and décor creates the illusion that the room is larger than it originally appeared! When staging a modest space, there is a delicate line of balance between the size of furniture and size of the room. We never put a small sofa in a small room. In fact, I always try to place a relatively large sofa in a little room. I select a sofa that’s large enough to make the room feel livable. When someone enters a space and sees and full-size comfy sofa in the room, they envision themselves living in the space. Conversely, when someone enters a room and there is a 60’’ settee in the room and the buyer is 6’4’’…well, they just can’t picture themselves inhabiting it. Spiffy’s job to make your space feel livable, regardless of the size of the room. 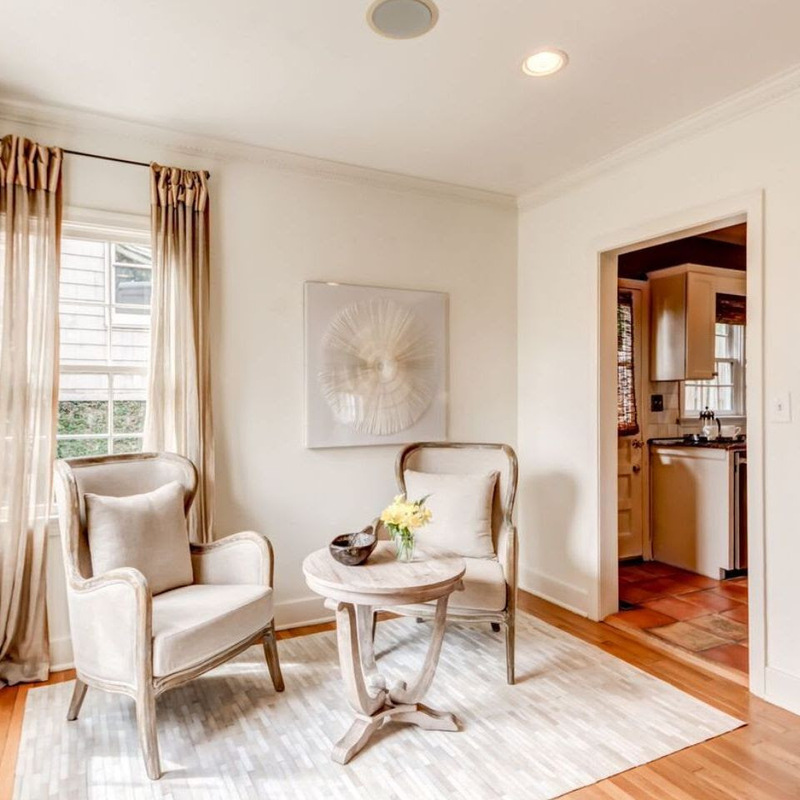 Staging turns living small into BIG returns on investment. I have often said staging a home is design on steroids. You don’t have the luxury of looking at swatches or testing out paint and stain colors. We get the challenging homes that we have to make look like a million bucks in a matter of days. Funky floor plans, purple walls, orange floors, shag carpet from 1972…I have seen it all. Not to mention a staging project also comes with the homeowner who has four kids, six dogs, two cats and a chicken! And among all of that, they still ask me “Can you make this house look like your website? And can you do it by Thursday of this week?” SURE! No problem, we got this! This is what makes my job so fun–the challenge of putting together a room under pressure, and accentuating the positive of every listing. Trust me, I have yet to have a listing that didn’t have SOMETHING positive. The living room is the size of a postage stamp: it’s not small, it’s cozy. The kitchen has no storage: less storage, less clutter! The bathroom has pink tile: PINK! I love pink. This is nothing an oushak rug can’t cure! When staging and designing, my glass is always half full. No matter how many odd colored walls or ancient carpets, I can always find beautiful features in a home to build upon. And once we get going, we’re going to do it in super-speed mode, like design on steroids. While strolling through the Picadilly Square flea market in London, I followed the sound of a beautiful string quartet to the center of the square. When I arrived, I encountered this delightful woman, soaking up the music and channeling her inner child. Uninhibited, she jumped in to the beat of the music and let the tune take her away. I admire her bravery to seize the moment and move with the music. Her expression of joy was a reminder to let go of the small negativities that occasionally cloud my head. As we enter the holiday season and the year comes to an end, I begin to reflect on all the beautiful moments I’ve been blessed with. While this post has nothing to do with staging or design, I hope it helps you to take a moment to feel immense joy, just like this woman. Perhaps you may even count your blessings, as they say. I personally would like to spend my time dancing instead of counting though! However you spend your holidays this year, I hope it is filled with laughter, joy, and maybe even some spiffy dance moves. When I renovated my home six years ago, I was seeking an expert opinion on renovating the pool, which was originally built in 1968. The pool was situated very close to the main living space of our home. I mean, it was practically sitting in the great room. Because of its close proximity, I realized the pool was something I was going to see everyday, so I had better love it! 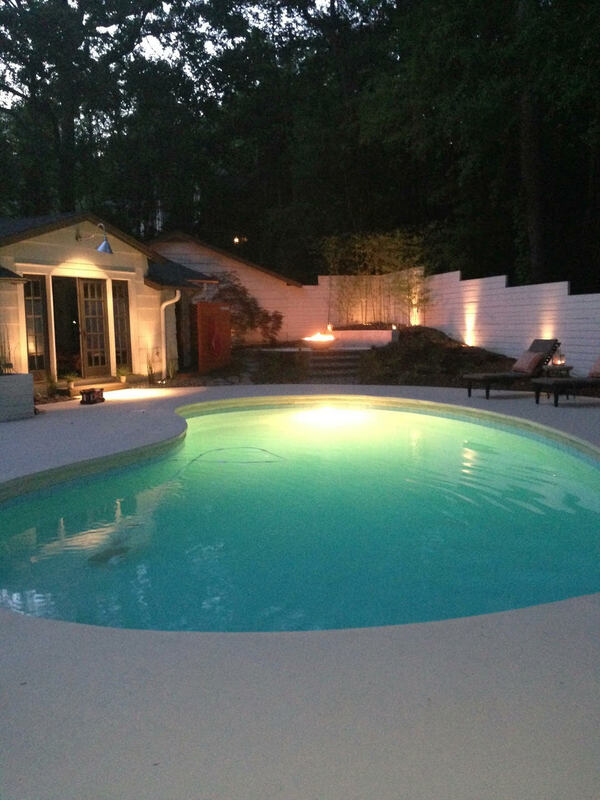 Several pool experts suggested starting over and updating the shape and style of our backyard. They advised to go with something more “geometric”– Now how square is that? The kidney-shaped pool that graced our backyard was anything but geometric. However, it had such character and made the backyard feel welcoming so I contemplated keeping it. Ultimately, I made the executive decision to leave the kidney and build around it. Today, we have chic backyard entertainment space that I recently found out has some interesting history to it! The kidney shape pool is not simply a kidney shape pool… it is an iconic midcentury look that is mod and marvelous beyond any square shape. At one point in history, they even took on a second functionality: skate parks. Skateboarders in the mid-70’s living in California quickly noticed an opportunity when a drought swept the region. California pool owners were advised to leave their pools empty to conserve water, which left them open to other uses– like skateboarding! Innovative teens such as Stacy Peralta (professional skateboarder) paved the way for a new type of skate arena– kidney shaped pools. While homeowners were not pleased at the time to find teens “tearing it up” in their empty pools, it symbolized a movement in the evolution of the skateboarding profession. So hey, a square pool may be geometrically pleasing, but odd shaped pools have some funky feels going on. In my opinion it’s not necessarily hip to be square. I’m actually keen on kidney pool shapes. Have we told you how much we love our truck, Spiffy? If you follow us on Instagram, you probably know how much Heidi and I love her. Frankly, we are a bit obnoxious about it. We are like those proud parents who post their kids on social media. There is even a name for it now – ”Sharenting”! We are shameless “Sharenters”, we admit it. Our beloved truck scoots around town with her cute pink tattoos, looking all Spiffy and such. She is just adorable. On our way to installs, I frequently find myself driving behind her, beaming with pride. . Last week at a staging in Crestwood, Spiffy decided she was done for the day. She was tired and she wasn’t going to start. We had to get her towed the next day. It wouldn’t have been a big deal except the towing company lost her. Momma bear Heidi was on it! Panic set in and after a few hours of backpedaling, the towing company found her. They sent her to the wrong truck doctor! Good Grief. Of course, we had to post the reunion of Momma Heidi and Barbara. Because, as we all know, if we don’t post it, it doesn’t happen! What a “Sharent” move! We call it “spinning”. Spinning is when a person is about to sell their home and they just can’t get it together. They spin and spin around a room, but nothing seems to take shape. They eventually land on box of pictures of their kids from an old ski trip and it’s all over for the day. Down memory lane they go and the piles of work stay just that…piles of work. Beginning to sift through the piles of work is overwhelming. We have clients that have literally never moved. They bought a home 50 years ago and one day find themself wanting to downsize. Of course, not everyone can call in the Spiffy Team to save the day. If you don’t have the budget to hire the Spiffy Gals for all your decluttering needs, the least we can do is offer some advice! 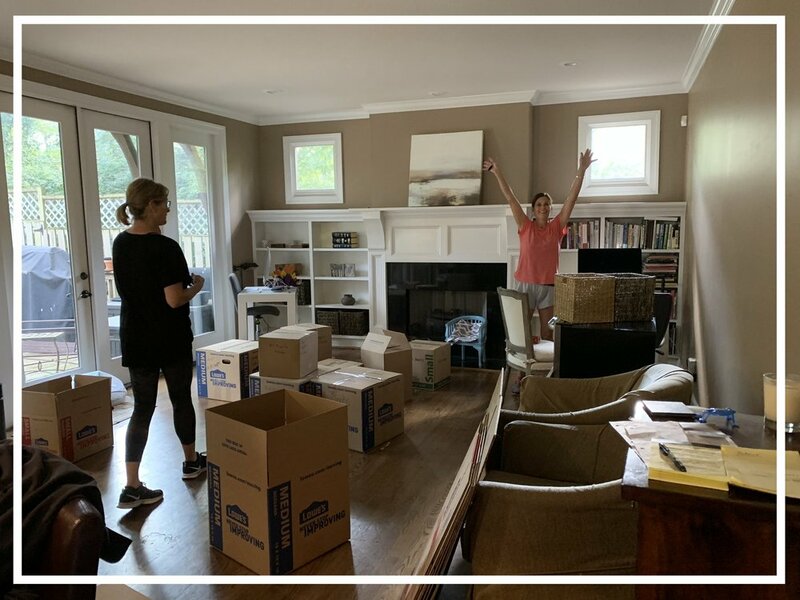 Wendy says, “if you haven’t opened the box in ten years, chances are there is nothing in that box you really need….it’s not even unpacked from the last move, so chunk it. That random crayon in the ‘everything’ drawer is broken, toss it! 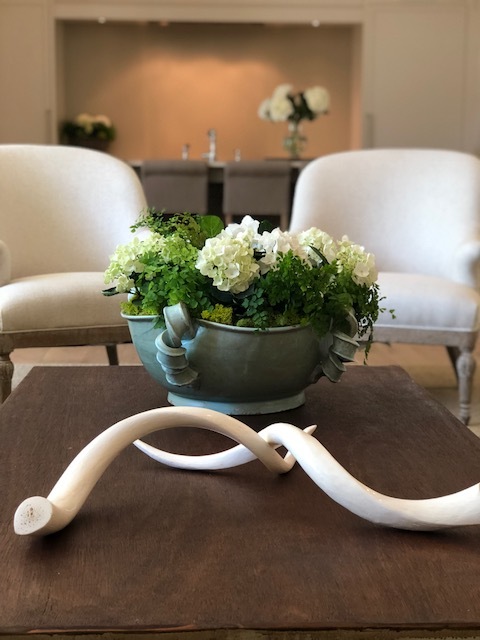 That ‘J’ scrabble piece lingering on the coffee table stands for ‘junk’– throw it away.” Wendy believes that unless that pot of dirt has Grandma Myrtles ashes in it, you can toss it. We hope our expert advice motivates you to start that move. Happy organizing, from the Queens of Clutter! Cuttin’ a rug is an old phrase from the 1950’s that meant you were dancing like no one is watching. Uninhibited, full out, get your groove on, leave it all on the dance floor, type dancin’. So, when I told Heidi we would be “cuttin’ a rug” she just thought it was another wing nut, off- shoot, Spiffy Team Builder dance-off idea. Nope, I literally wanted to cut up our rugs. Ever the optimist, Heidi replied, “Have you lost your mind! We paid a lot of money for those! We just bought them! They are so expensive! Are you sure? You think we should? Ok?” and finally, “Why not!” Heidi talked through that with herself for about a minute. Off to the upholsterer I go and BAM! Here they are. We picked up the stools from an estate sale and I think they turned out nifty! Makes me want to dance the jitterbug. Tooling around Round Top Texas Market is like paradise. Round Top makes High Point or Americas Mart look like an Hermes knock off. It was in Round Top that I spotted my first Willy Guhl spindle planter. I had seen one just like it at an old flea market back in Birmingham. At the time, I loved the look but had no idea what it was or its value. I just thought it was neat-o. I couldn’t buy it because it was too big to fit into my car, so I took a pass. Fast forward a month or so to Round Top. I spot the same spindle planter and ask the dealer about it. She tells me about Willy Guhl, a famous Swiss furniture pioneer of the 50’s. His work is all the rage this year with Restoration Hardware and the likes doing reproductions. An original is going for about $1200.00 bucks on today’s market. Well, I couldn’t pick up the phone fast enough to tell Heidi to go back to the flea market and get the neat-o planter. She did and $50 later we have an original Willy Guhl spindle planter. Pretty neat-o! For some reason, we thought it would be a good idea to start Warehouse Warrior Workouts on Sundays. Now, for a profession that requires a great deal of physical work, I am not sure why we thought we needed an extra round of calisthenics (like vintage furniture, I love vintage words-like calisthenics). 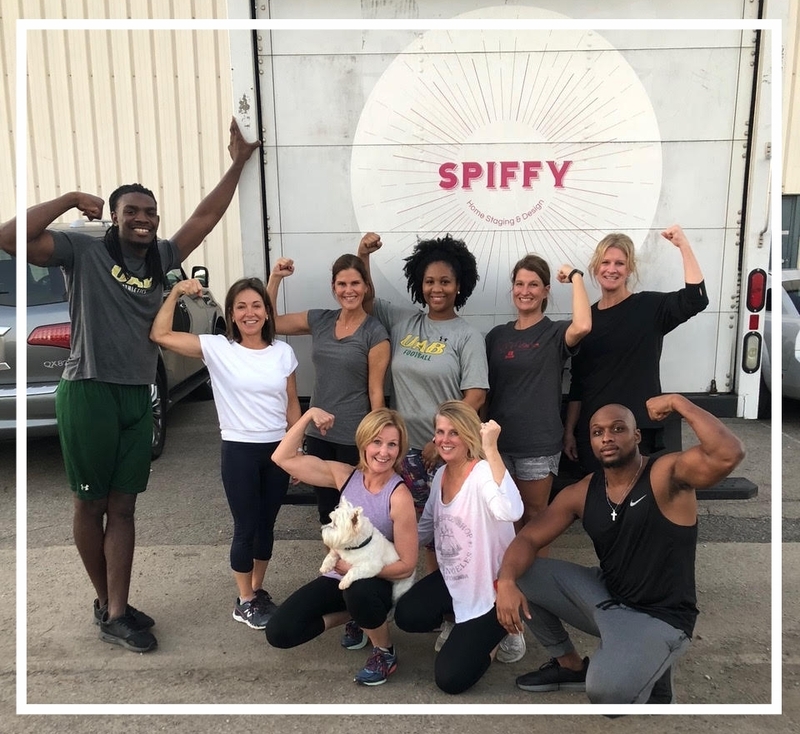 Nonetheless, the entire Spiffy team was all in! Before you get too impressed just know that we were all excited to get to the end of the workout so we could have our wine. For the record, Wendy’s bottle was on her yoga mat during the workout. Irv would have none of the wine shenanigans. He meant business. If we were going to workout, then by gosh, we were going to workout! It was all fun and frivolity until Heidi got a little ghostly looking and Mag’s said she felt a wave of nausea coming on. Our jump squats looked like bunny hops and our jumping jacks were jumping jills. It was great team building and no one died. When it was over we were…well…just glad it was over. Wine time pursued and we all forgave Irv. Margaret prayed for all of us that the Lord would let us get out of bed the next morning. The next week, we did Yoga. If it says Libby, Libby, Libby on the Label, Label, Label…. If your heart beats a bit faster every time you drive by a grungy flea market, consider yourself a picker. My children would beg me not to stop, “Mom, NO,please, do we have to?” They dreaded the walks through those grungy, dim, musty buildings. Despite the protests, I forged ahead for the hunt. It’s the challenge of creating something cool from something that has a story. One day, as I was rooting around an old market, I found these rolled up rubber mats. They came out of an old canning manufacturer plant for Libby Fruit Cocktail. They were old rubber dye mats from the canning plant that we mounted and hung as art. The colors are amazing and they have an industrial vibe. You can actually see the Libby imprint on the mats. These pieces are art with a backstory and I think that makes it interesting. Now, if we only knew what preservatives were in that can of cocktail fruit from the 70’s! That may be interesting too! In our business, we are always telling our clients to purge, declutter, and eliminate! After meeting Ann Benton, I want to back off of that advice. Ann is quite possibly the coolest lady I know. Spiffy helped Ann organize and stage a few rooms of her home to get it ready to sell. Through the process, I kept admiring her amazing sofa. Now, I know that sounds weird that I would be admiring someone’s SOFA, but I’m a stager. Some people like chocolate, I like sofas. Anyway, Ann tells me the sofa was her grandmother’s and considering Ann is 83 years young….you do the math. The sofa is old. Not just old but timeless. Of course, it has been reupholstered over the years. Ann even added an extra cushion on top to update it. 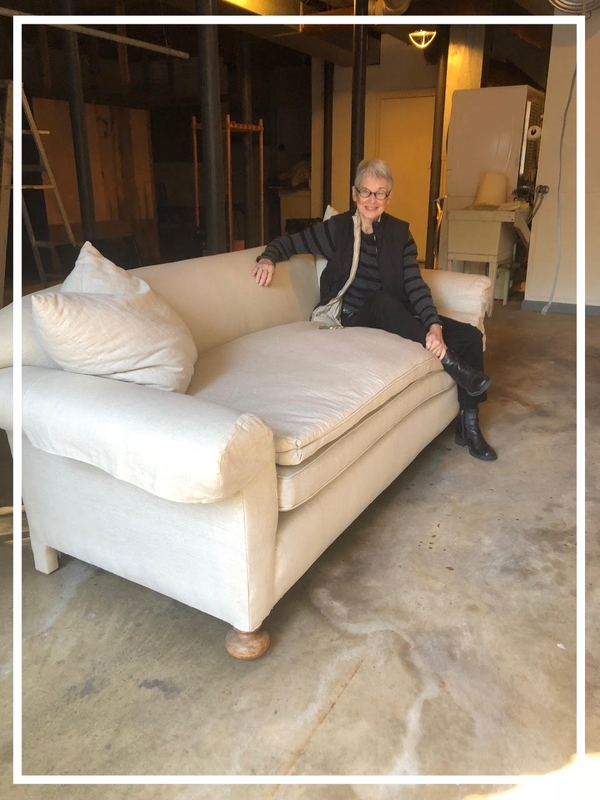 I was just thinking…of course, only a cool client like Ann could make a 100 year old sofa look this awesome. After Ann got settled in her new home she called and said she couldn’t fit her grandmother’s sofas in her new home. Of course, we bought it and it will be displayed in one of our homes. Now that makes me giddy to think about using this sofa to stage! Ann said she “loves that it lives on with Spiffy.” We love it too.